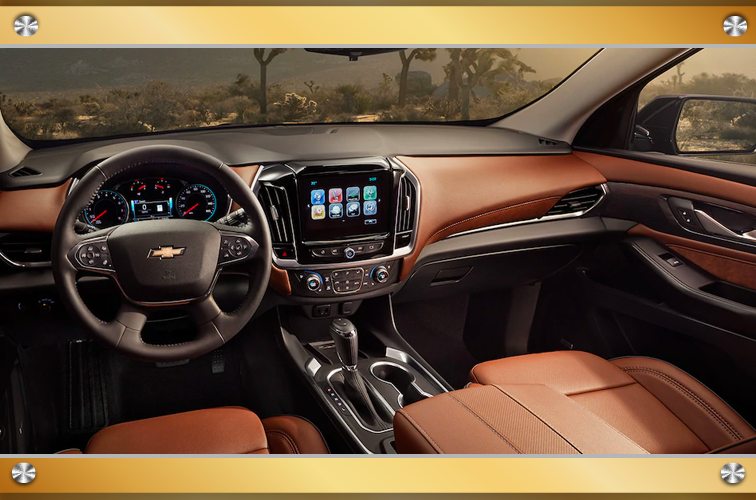 The 2019 Chevy Traverse SUV offers both luxurious space and luxurious style, inside and out, like chrome accents on the exterior and available leather-appointed seating for the interior. In fact, there are tons of convenient and beautiful features available in the 2019 Chevy Traverse. Check out the available Dual SkyScape® power sunroof or the available heated and ventilated front seats. 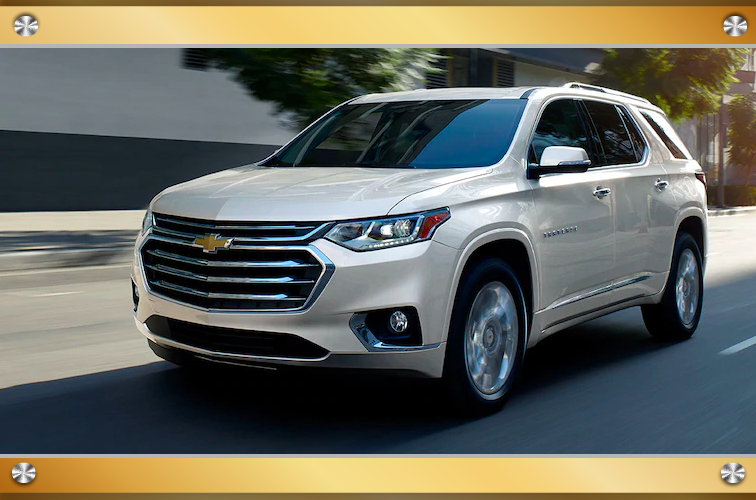 If you need expansive, intuitive space, the 2019 Chevy Traverse is the mid-size SUV for you. Besides seating for up to eight passengers and more than 98 cu. ft. of total cargo space, it also has an underfloor rear storage compartment, and an available front hidden storage compartment. The Smart Slide® second-row seat also makes it easier to access the third row. The 2019 Chevy Traverse has advanced technological features that make it a safe and modern SUV. It earned a 5-Star Overall Vehicle Score for safety from NHTSA. The Chevy Traverse is specialized to help you avoid a crash. With available surround vision cameras and available sensors that detect forward collisions, pedestrians and lane departure, it will prevent a collision from happening in the Chevy Traverse. In addition, modern technologies in the 2019 Chevy Traverse don’t stop at safety features. You will find incredible entertainment features like an 8-inch touchscreen, the Chevrolet Infotainment System, USB ports in all rows, available 4G Wi-Fi and smartphone compatibility. It also has Rear Seat Reminder, Teen Driver technology, and an available hands-free liftgate. Keep your family safe and your ride simple with these high-tech features in the 2019 Chevy Traverse.